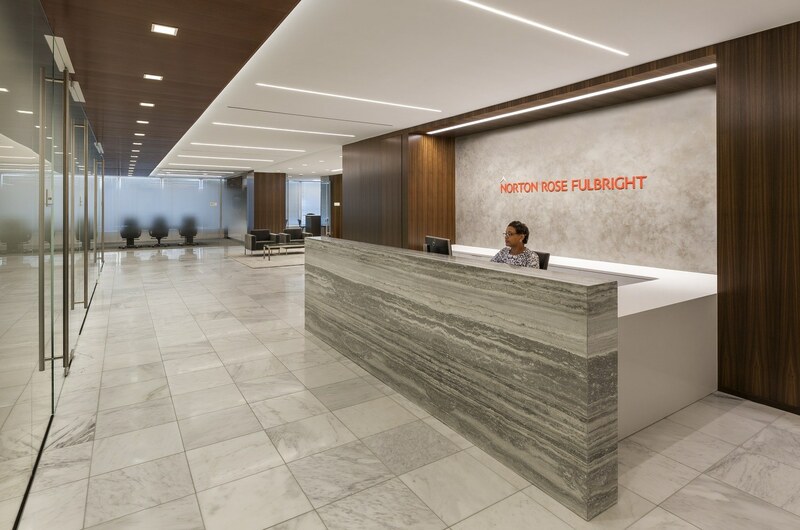 Having designed Norton Rose Fulbright’s previous law offices nearly 10 years ago, HGA reunited with the firm to create a streamlined workplace that reduces paper filing, supports collaboration, and integrates new technology. 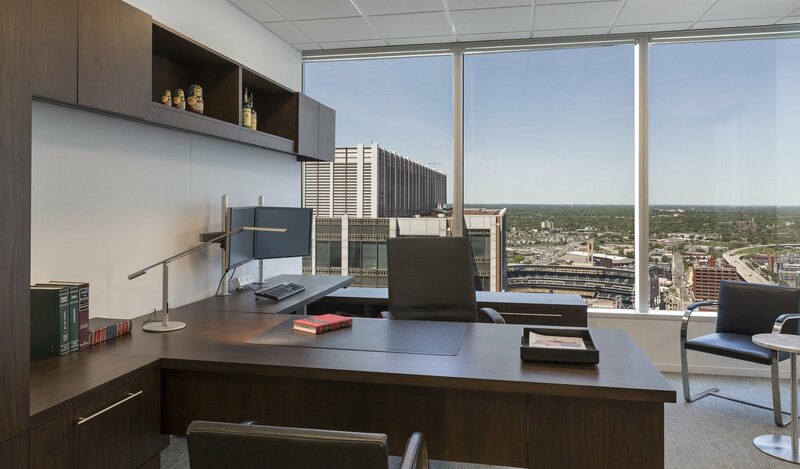 Design details support modern workplace planning while recalling the firm’s Midwestern roots and international brand. 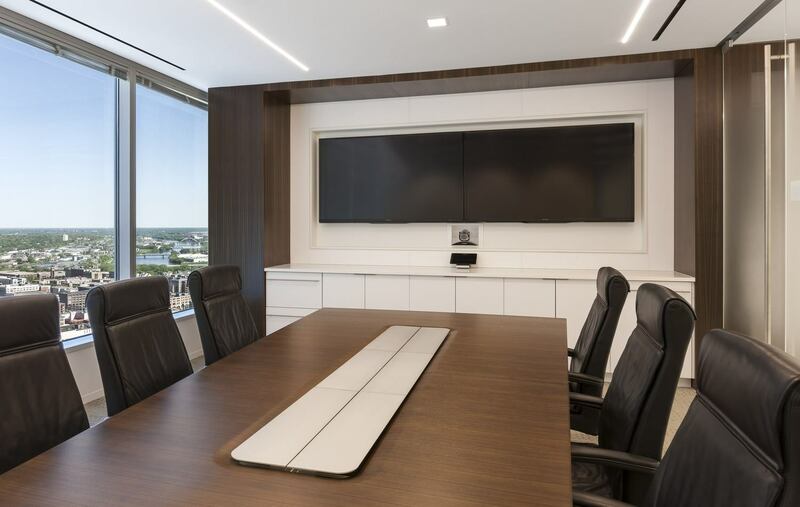 Full-glass conference rooms and office fronts increase daylight and openness while etched patterns—from subtle to intense—provide visual privacy. 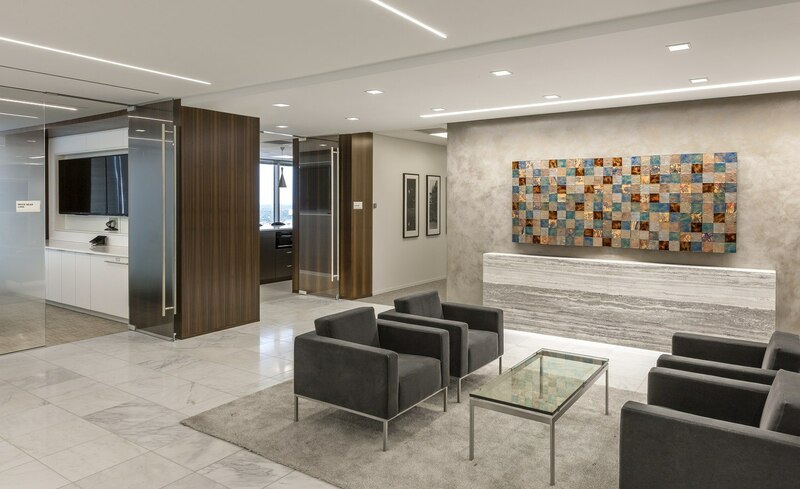 In the lobby, crisp, white marble floors with fumed eucalyptus lend a contemporary aesthetic balanced with complementary suede wallcovering, warm upholsteries, and custom rug. 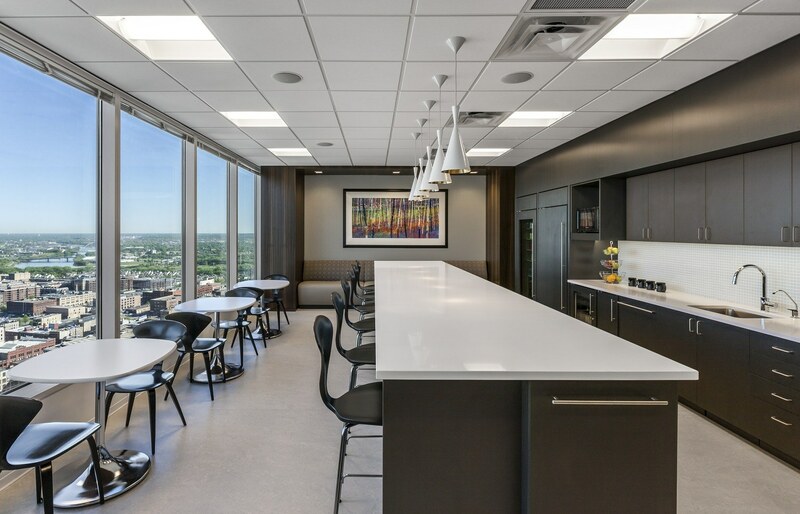 Upgraded finishes in the adjacent break room along exterior windows create a casual yet sophisticated gathering space.